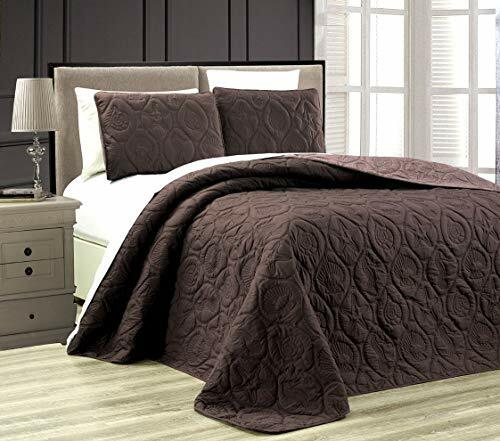 6-Piece quilt set includes one quilt, 2 pillow shams, 1 fitted sheet and 2 pillowcases. 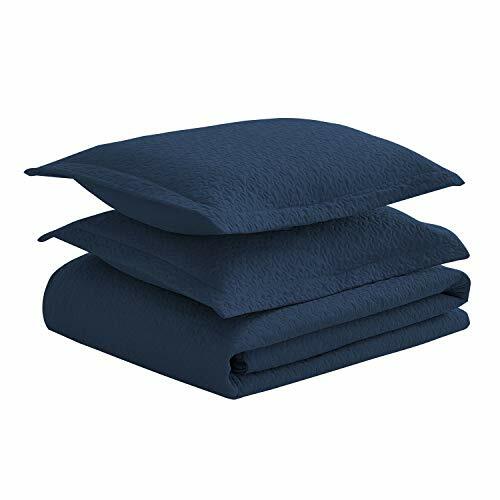 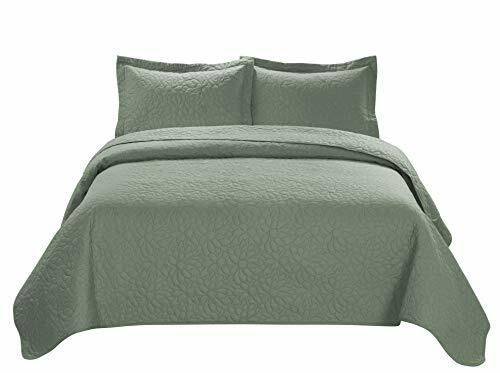 One King Quilt 104-inch by 95-inch,2 Pillow Shams 20-inch by 36-inch,One Fitted Sheet 78-inch by 80-inch+14-inch,2 Pillowcases 20-inch by 40-inch+4-inch. 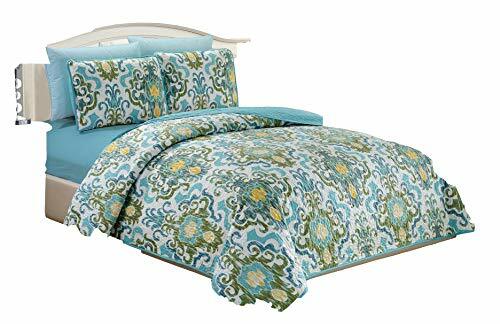 Color: Teal/Yellow/White. 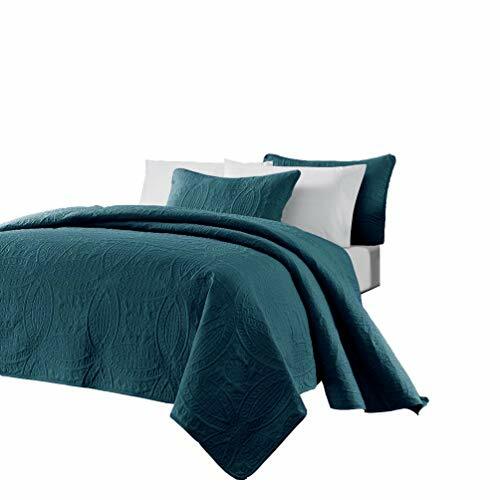 Washing instructions: machine wash in cold water, tumble dry low The reverse side of bedspread is teal.